1. 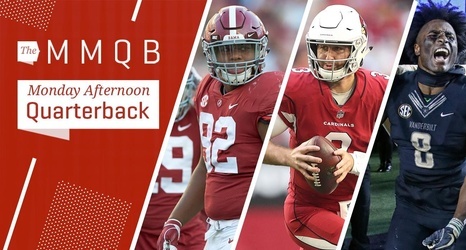 I’ll say this about the potential that Arizona passes on Kyler Murray with the first overall pick (which I still don’t think will happen)—I wouldn’t rule out Alabama DT Quinnen Williams as a possibility for the Cardinals if they turn elsewhere. Clearly, they’ve kicked the tires on Ohio State edge rusher Nick Bosa. But the first time a team guy brought up the possibility that the Cardinals go with someone other than Murray at No. 1 to me, which was about a week ago, it was Williams’s name that came up first.